A cheap and inexpensive alternative to making almost any pen or pencil easier to use. 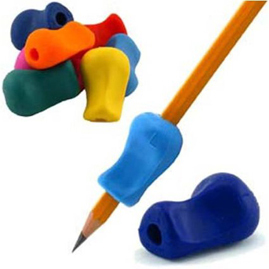 This piece of rubber is placed over a writing tool, making it easier to hold as there is more surface area to grab onto. Great for those with arthritis.